Just a mention of Arsene Wenger’s name, be it at the Emirates or in the away end when Arsenal travel on the road, can you get you into a heated debate – perhaps even a punch up. The split in the fanbase that has grown over the years with regards to the Arsenal manager has become an increasingly ugly one. As I work in communications, I spend a lot of my time looking at the material the club release through their various media channels and find myself analysing many of the campaigns they carry out. With this being the week 20 years ago that the enigmatic Frenchman first arrived in north London, I imagine that talk of how to mark the occasion has been debated several times within the Arsenal media team. How would the divided fanbase react to a week of praising a man many of them want out, especially if the season had started particularly badly? What if there was a protest arranged to coincide with the occasion? What effect could it have on the club’s fledgling campaign? A look at the fixtures when they first were released and seeing Chelsea’s name written down on this week of all weeks would have many fans fearing the worst, let alone the public relations team, considering that the bitter rivals from across the city had inflicted defeats on Wenger’s side on both his 500th and 1000th games in charge of the Gunners – with the latter infamously ending in a humiliating 6-0 defeat at Stamford Bridge in March 2014. However, despite these concerns, Arsene Wenger actually got an anniversary gift better than he could have dreamed, and the man he has to thank for that one Jose Mourinho. Mourinho might not have known it at the time but sending texts to Rob Beasley with details about how he’d like to break Wenger’s face were he ever to meet him on the street, details which were released by Beasley this past week, has ending up doing his nemesis a huge favour. As much as some fans hold great distaste for their long-serving manager, there is no greater unifier amongst Arsenal fans that a shared hatred of the Portuguese, and a news story about him speaking with such vitriol about Wenger has done more for bringing Gunners together around the world than a string of great results could do. Of course, beating Mourinho’s former club in the most emphatic of 3-0 victories sure helps, but his words certainly did a lot to remind fans why Wenger is still beloved by so many. As much as fans like to criticise their own managers, when they have as great an affinity with their team as Arsene Wenger does with Arsenal, when an external force comes at one of your own you’re far more likely to band together with your brothers in arms and defend the man who represents you and your club. If I was hired to consult the club’s PR team – and, if they’re reading, I’m available at a competitive yet fair rate – I would be sure to play up to this tribalism to get the fans onside, if only for the time being. I sent out a tweet last week which, in truth, I expected plenty of adverse comments about. I asked fans to forget, for this week at least, what they think of Arsene Wenger as Arsenal’s manager in 2016, and instead take a minute to reflect on what he’s given to this club over the past two decades. To my surprise, little abuse came my way and it was rather well received. Whilst in the dark days of hammerings on the road and defeats away at Stoke sure make it seem like Wenger is hated by many, anniversaries such as these (coupled with some positive results) reveal the great deal of affection that still resides in north London for the man from Strasbourg. 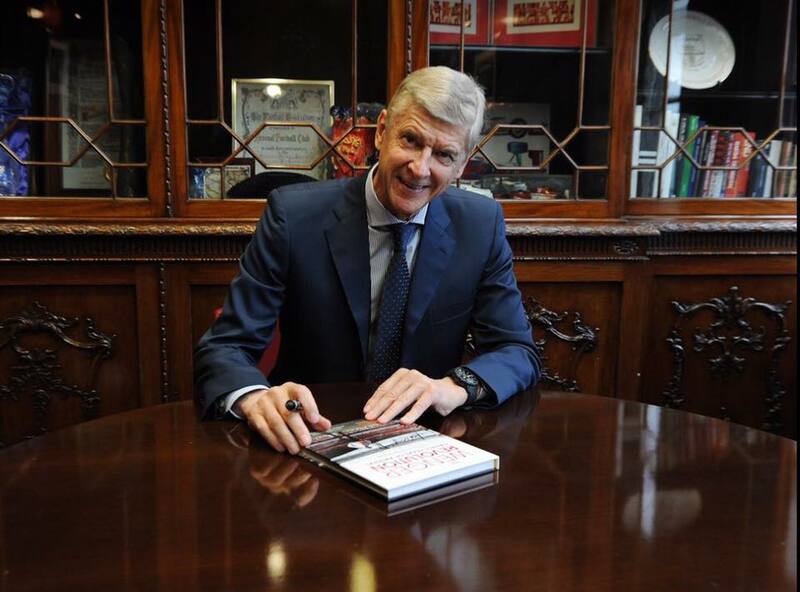 With all the tributes flooding in of late, I too have decided to look back on Wenger’s tenure and will do so below by speaking about in a number of time periods across his 20 years in charge. The start of a glorious period for the club came with a league and FA Cup double in the 1997/98 season, Arsene Wenger’s first full season in charge. Wenger’s first great team really did have everything – pace, power, ingenuity, a rock-solid defence, a World Cup-winning backbone and an electric attack. This campaign remains one of my best ever, with us beating would-be rivals Manchester United both home and away as we stormed to our first league title since 1991. We had signed Dennis Bergkamp just before Wenger arrived and he soon established himself as the best player in the country by winning the PFA Player of the Year award. Arsene Wenger really did change everything at the club upon his arrival. The stories often repeated from the likes of Lee Dixon, Ian Wright and Ray Parlour give you an insight into how quickly the culture at the club changed once Wenger got his shoes under the manager’s table. There was a degree of nervousness amongst the playing squad at how many of their freedoms (namely their ability to drink and eat what they liked) would be affected, but rather than alienate them, Wenger got the majority of them onside. Lots of players were worried that their time at the club might be coming to an end in the latter stage of their careers, but the decision from Wenger to try and keep a number of them on-board and to help extend their careers though increasing fitness and improving their nutrition was a masterstroke. Arsene Wenger’s assault on liquid lunches, Mars Bars and chips proved to be hugely effective, and the influence he had over the years extended far beyond the Arsenal training ground. On an episode of Goals on Sunday recently, former Bolton Wanderers men Kevin Nolan and Kevin Davies noted that Highbury was the first ground at which players could no longer buy alcohol in the players’ lounge after games. Others soon followed, but Arsenal were the first. He also changed training methods, with the introduction of proper warm ups and warm downs, as well as stretching in hotels during the morning before games, first coming in under his reign. Funnily enough, this last policy he did renege on after Tony Adams spoke on behalf of the team to express their dislike for this routine – it might well have been so he could “give something back” to his team, but it’s clear that despite overhauling so much at Arsenal, Wenger was always willing to work with his players to achieve results. Ian Wright has consistently gone on record to describe how Wenger’s approach helped save his career and similar sentiments have been echoed by the likes of Adams too. He might once have had to deal with chants of “we want our Mars Bars back” from the players after his changes were first implemented, but there’s no doubt that many of that 1997/98 double-winning squad are indebted to the man for how he managed to prolong their respective playing careers. No significant silverware might’ve been won during this period, but for all the success that was to come, much of the groundwork was laid here. Wenger’s methods were in place and everyone brought into the club knew that they had to do things in a certain way to make it at Arsenal, such was the respect the manager’s reputation demanded. This few-year spell saw players like Thierry Henry, Robert Pires, Freddie Ljungberg and Sol Campbell all arrive at Highbury. Club legends such as Nigel Winterburn and Ian Wright might have moved on by now, but they were be replaced with an exciting crop of players containing some of the best talent from around the world. One of the biggest challenges facing Wenger during this period was replacing these big personalities but his desire to scour foreign countries for talent – something that he was doing far more than his domestic rivals – allowed him to pool together a squad full of winning mentalities. He knew that his sturdy and reliable English defence were well into their thirties and approaching their last legs, so he went about replacing them and did so in a superb manner. By this point, the training ground was paid for and constructed (with the money raised from selling Nicolas Anelka to Real Madrid) and talks of financing a new stadium were well underway. If the stadium move were to go ahead, Wenger knew that the costs of the move would have a huge impact on how he could operate at the club, and as a result the next few years prior to any move were crucial. It’s safe to say he made the most of them. In this five-year span, everything Arsene Wenger did seemed to pay off. Arsenal were competing consistently at the top of the English game as the first long term challengers to Sir Alex Ferguson’s Manchester United during the Premier League era, and whilst true success in Europe eluded them, they were making themselves known on the continent more and more with each passing year. In this period, Arsenal ended up with two more league titles, three FA Cups and a place in the final of the European Cup for the first time in the club’s history. More than just the number of finals and trophies was the style of football Wenger’s Arsenal teams employed. It was beautiful, sublime and elegant, utterly ruthless and a joy to watch. For many, it was the best brand of football they’d ever seen on these shores. For some that remains a fact. It was fluid, quick and purposeful, and with talents such as Bergkamp, Henry and Pires working in unison with one another, Arsenal’s offensive game rivalled any other’s in world football. 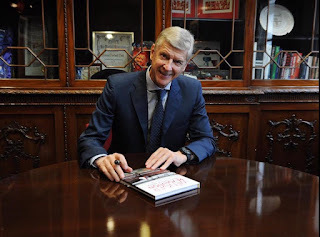 Sol Campbell, Gilberto Silva, Jens Lehmann and many others all arrived in the year following the turn of the century and Wenger quickly established himself as the shrewdest operator going when it came to the transfer market. There were, of course, the odd Inamoto, Jeffers or Stepanovs, but for every dud there was a world beater. Arsene Wenger took his players to places such as Turin, Milan and Madrid and came away with famous victories. This was the time that Arsenal were feared, with the pace and finishing ability of the likes of Henry and Pires just as imposing and terrifying as the sizable frame of Patrick Vieira. It has often been said that during this period, games were won for Arsenal in the tunnel before kick-off – with so much talent on show, opposition sides couldn’t help but fear what they had in store for them. Teams were afraid of what Arsenal could do to them. magical of eras at one of the country’s greatest clubs, and the man could do no wrong. These were the tough years. Arsenal said goodbye to Highbury and moved to the Emirates Stadium in 2006, and the cost of the new 60,000-seater stadium meant the purse strings became significantly tightened. The club lost their best players, and what felt like a constant stream of silverware suddenly felt like a dried up riverbed. ompared to his first decade in charge, some see these eight years as a total failure in comparison, although I see things a bit differently. I believe that in the decades to come these turbulent years will be remembered as some of the most significant in the club’s history, such was the importance of remaining competitive and qualifying for the Champions League whilst also managing to keep the balance sheet in check. I respect the fact that this club should always be aiming for titles, but in this period there were not the priority. The priority was to remain competitive and get the club in a healthy position. Despite it being highly frustrating at the time, we got through the period. We experienced some low points during this period, but we made it through. Mistakes were made, there were players we could have bought that we didn’t, and we sold our best players to rivals. There were reasons behind these decisions but I think even Wenger himself would admit to these mistakes. I recently (about three years) spoke to him at the club’s AGM about the Champions League final and despite being sure that taking Pires off was not a mistake, he admitted that perhaps taking Fabregas off for Flamini meant we went too defensive which allowed Barcelona to pressure us more. This is a man that thinks about every decision and is obsessed by the game he dedicates his life too. In 100 years, I’m convinced people will look at this period and think it was a very significant period in the club’s history which laid the basis for the decades that follow it because without it, I’m not sure we would be seeing players like Mesut Ozil or Alexis Sanchez at our football club today. We had to grit our teeth at times but, in retrospect, it’s been worth it. This is the period where the cloud of debt incurred by the stadium move began to dissipate. We no have to sell our best players as soon as a richer club come knocking, and the big money signings of the likes of Mesut Ozil, Alexis Sanchez, Granit Xhaka and Shkrodan Mustafi have signified a new and financially-prosperous era at Arsenal Football Club. Perhaps the club have under achieved slightly in this period and should have added another league title during this time, but Arsene has built a very good squad and whatever happens to him in the next few months and years, I hope this proves the springboard for Arsenal to win major trophies again. For 20 years, Arsene Wenger has been the one consistent figure at Arsenal, all whilst players, staff and shareholders have come and gone. The club has changed massively and so has the game of football. I understand the frustration and I am ready for change if the club decide to go down that route, but one thing is clear – my respect for Arsene Wenger has never been stronger. The man has given us so many memories and great moments that will never be forgotten. I think his personality has made him a beloved figure with many people around the world. His sense of humour, his humility and even his clumsiness – from getting stuck in nets to struggling with his coat zipper – have helped make him a hugely endearing figure. 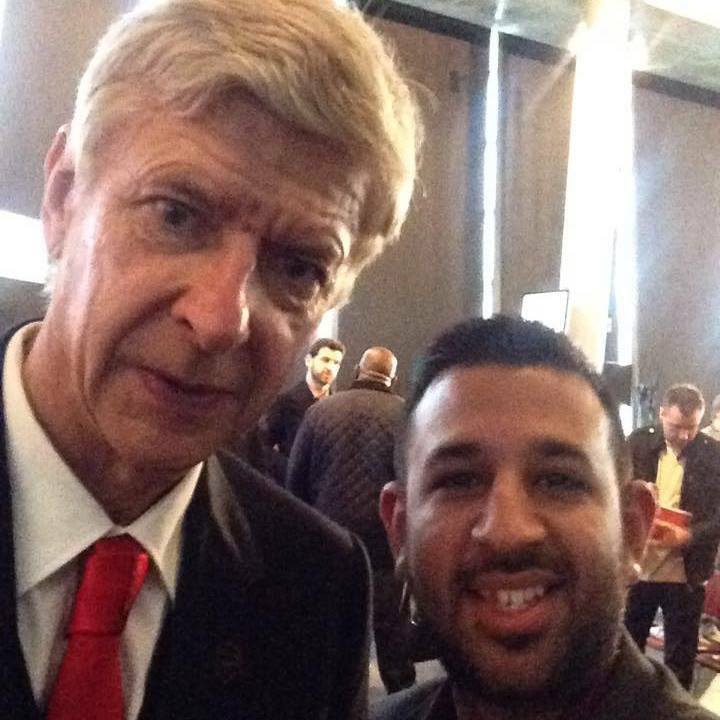 I’ve been lucky enough to meet Arsene Wenger on a number of times and the thing you notice straight away is his openness, and he always seems happy to talk. I remember that at another AGM, a shareholder and his son approached Arsenal to ask him a question and after answering it, Arsene started asking the son what he was doing in education and took a proper interest. I once asked him about signing a potential centre back – he had said in a press conference a week earlier that it was unlikely and I pressed him on that. His answer was “don’t believe everything I say” but, a week later, a new centre back turned up! I once got him to sign a copy of a photo that I had taken with him previous and I asked him if he wanted a copy – he replied ‘I have many’ – quickly thinking about what he said, he changed his tune and said “I mean I have plenty of photos with me in them, not you!”. Every interaction I’ve been lucky enough to have with him has been an overwhelmingly pleasant one. Some of the one liners he has delivered in press conferences have been different class and his replies to some parts of the media and responses about other managers have often been comedy gold. I appreciate many would like him to go but on his 20 year anniversary, but it’s time to pay a tribute to the great man. I hope I’ve been able to do that. Here’s to you, Arsene. Thank you for everything.